These massive air banners dwarf traditional billboards, making them a captivating spectacle in the sky above. You may have seen large format aerial billboards flying over beaches, music festivals, sporting events, and other high-traffic areas. Aerial media is a good choice for B2C brands, which have a finger on the pulse of where their best customer likes to hang out. For example, if you’re a brand that is looking to target college students, spring break destinations and music festivals are a great choice for aerial advertising. Concurrently, if you’re a brand that’s looking to target parents of young children, family-friendly beaches and amusement parks are a good choice. No matter your audience, air banners can deliver your message in a memorable way, making your brand a notable part of your customer’s favorite experiences. • What are your banners made out of? • How long will my aerial banner last? • What happens in the event of inclement weather? • Will my banner flight be refunded or will I receive a make-good flight? • Are your pilots certified? • What is your insurance policy? 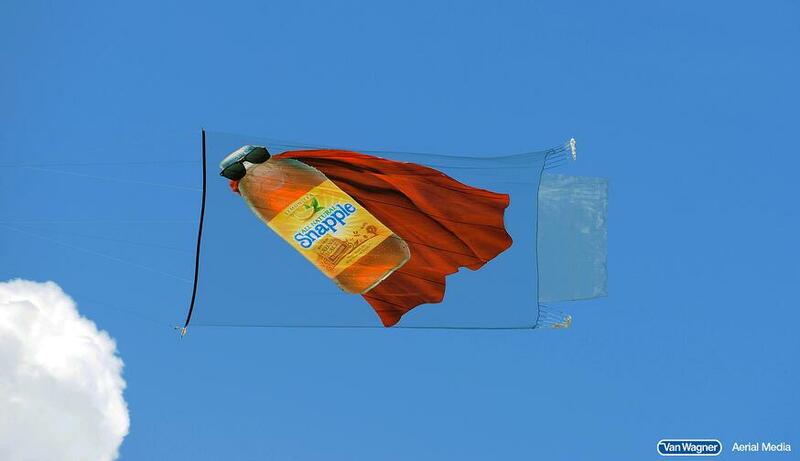 • What kinds of brands usually fly with you? • Do you provide any proof-of-performance flight reports? • Are you a local or national provider? • Do you handle banner production or only flights? • Do you have client testimonials I can read? After selecting a credible aerial advertising company, your next step is to narrow down which events and regions you would like to fly. By conducting market research prior to your campaigns, you will be able to identify which types of events are best for reaching your target audience. A well-rounded aerial advertising agency should be able to provide you with event targeting suggestions to further your campaigns. 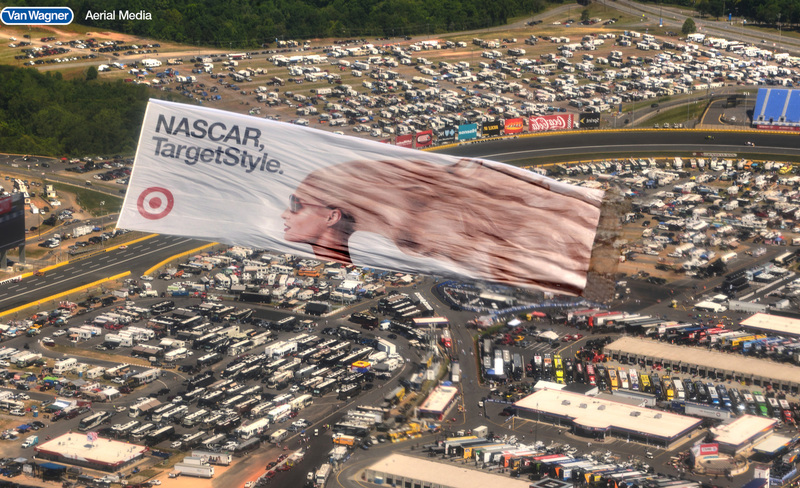 Next, brainstorm the creative for your aerial banner. Airplane banner copy should be short and succinct, anything over 5-7 words is considered too long when it comes to aerial media. Humor also goes a long way with sky advertising, if your banner is creative and funny, it will up your chances of being shared on social media and increasing your impressions. Make sure to choose colors that pop against a blue sky, and ensure that your brand’s logo is front and center. You want to make sure that consumers understand completely what the ad is talking about and who it’s for. OK. Now, you have your provider, you know which events to fly, and what your creative looks like – it’s time to get flying! We hope this article was helpful. As the only truly national aerial advertising provider, we work with clients in states all across the country. We are here to answer all of your questions about banner advertising costs and logistics. Please contact us today or click below for a free quote. And remember, aerial banners have a 70% unaided rate of brand recall -- higher than any other traditional advertising option!